Cities and surrounding rural areas are highly connected and interdependent on a number of realms: socially, economically and environmentally to name a few. To succeed, cities in America need a healthy and sustainable rural economy and culture; and in turn rural America needs vibrant, well-functioning cities and suburbs in order to thrive and flourish (Dabson, 2007). Meaningful dialogue, understanding and collaboration is critically important when seeking solutions to issues that affect cities and nearby rural counterparts. For example, agricultural land uses in watersheds that provide source water for metropolitan areas has become a major concern as of late. While it is a city’s responsibility to provide quality drinking and recreational water resources to residents at a reasonable cost, it is the goal of agricultural producers to provide food for America’s consumers, also at a reasonable cost, while bringing in sufficient revenues needed to stay in business. Inputs used to increase food production – fertilizers and herbicides, for example – can enter the rural watershed and affect the city’s water resources downstream. The cost to the city of treating and removing nutrients and herbicides from their drinking water can impact on resident’s water rates. The loss of fertilizers and herbicides due to run off increases a farmer’s cost of production. How can meaningful dialogue and collaboration between urban and rural entities be created around issues such as these? 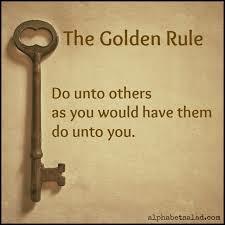 Is it possible to find common ground that can be built upon to benefit and meet the needs of all parties? In the scenario above, common ground may be that both the farmer and the city would like to see fertilizers and herbicides stay on the fields and out of the watershed. Dialogue and collaboration is needed to discover and implement the combination of educational programming, best management practices, incentives and other types of support that is most effective in helping these entities meet their common goals. 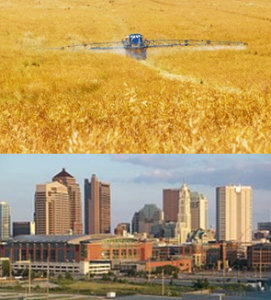 A recent issue brief published by the National Association of Development Organizations (NADO) provides examples of urban-rural collaborative efforts through a series of case studies highlighting examples from communities across the country: Creating Opportunity and Prosperity Through Strengthening Rural-Urban Connections. NADO concludes that “in order to move forward, a national statement of shared purpose along the lines that if metropolitan America is to drive national prosperity, then to succeed it will need a healthy and sustainable rural economy and culture, and if rural America is to flourish, it will need vibrant, well-functioning cities and suburbs.” Finding common concerns, understanding interconnections, recognizing interdependence and building collaborations are key steps in building regional sustainability. Cuyahoga County has received much attention in recent years for the work being done to address food insecurity in low-income urban communities. Think of programs like Produce Perks, which provides a financial incentive for SNAP recipients who shop at farmers markets, or the Summer Sprout Community Gardening Program, which provides free support and technical assistance to over 200 community gardens in the City of Cleveland. Ensuring that all residents in Cuyahoga County have access to fresh, affordable and nutritious food is one of the centerpieces of our work in Northeast Ohio and has been the driving force behind some of our most successful programs to date. The issue of Food Access, however, is just one facet of the ever-evolving conversation around local food in our region. 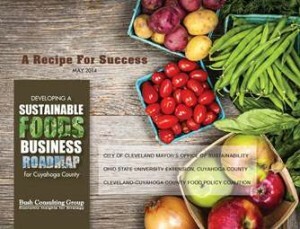 In 2014, OSU Extension, Cuyahoga County partnered with Bush Consulting Group, The City of Cleveland Mayor’s Office of Sustainability and the Cleveland-Cuyahoga County Food Policy Coalition to develop a sustainable food cluster roadmap in Cuyahoga County with a core objective to increase regional jobs, revenue and sustainability by supporting local food and beverage businesses. Published last May, the roadmap identifies a number of market opportunities and provides specific strategies to boost regional strength and competitiveness across the food sector, including the establishment of a Northeast Ohio Food Trade Show. This event will connect regional food and beverage producers with potential customers. As OSU Extension’s Cuyahoga County office begins to broaden the scope of its community and economic development work, preliminary planning has begun to develop such an event. Beginning with an assessment of current strengths and resource needs, OSU Extension has hired Muse Content Group, a local expert firm in market research, to develop a business model canvas that will inform our planning efforts and provide a blueprint as we move forward with this project. Following delivery of the canvas in late August, subsequent collaborative planning and development is slated to begin. Stay tuned!